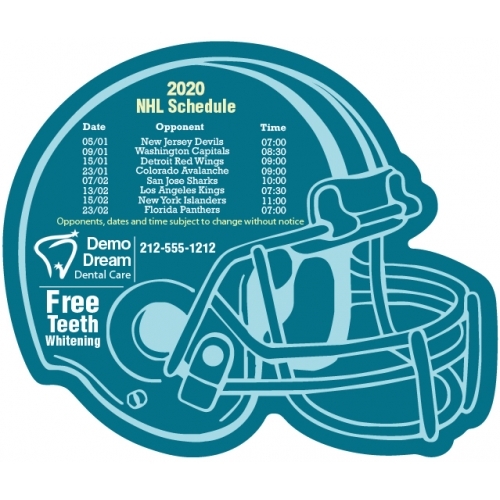 A custom 4.25 x 3.5 right facing hockey schedule helmet shape magnet is a best bet for investment to all those who wish to grab some quick appreciation for their business or for their cause. A personalized 4.25 x 3.5 right facing hockey schedule helmet shape magnet will show up from any surface due to its special shape. 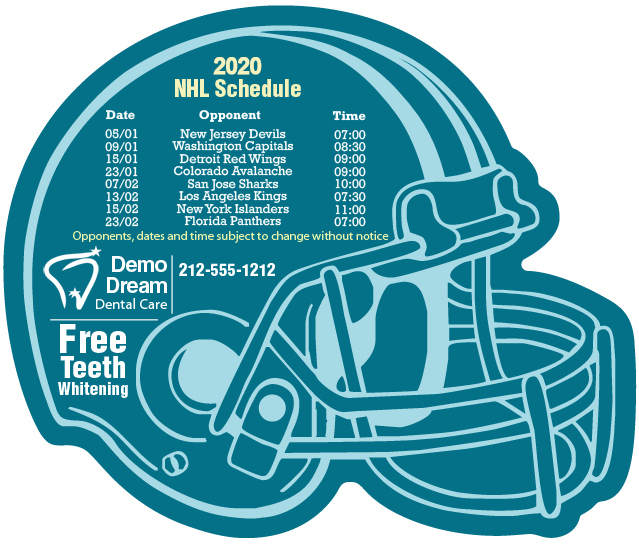 Advertisers or individuals who cannot afford to splurge on big or expensive business gifts can always gain appreciation by handing out a promotional4.25 x 3.5 right facing hockey schedule helmet shaped magnet because everyone will simply love it. As, the right facing helmet shape is very affable, which makes it worth retaining even after the season rolls out.